The previous tour was a long one with 5 breweries and one bia hoi on the road. The farest brewery was about 10 km from the city centre. 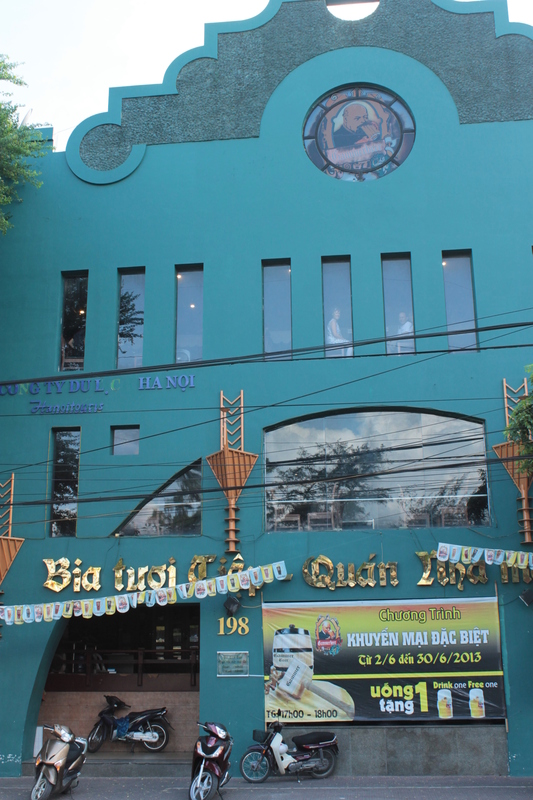 That was also the first visit to Bia tuoi tiep brewery which is situated close to the My Dinh stadium. The black beer was ok but the blond one had a more unique taste with some fruitiness in it. Service was good and we were well received by the owner. Many breweries are closing down around 10 pm but nice breweries always lets us stay longer. The other breweries at the tour was Goldmalt at Tran Phu, Truc vien and then the neighbouring Mai vien, where Tin, the owner gave us good service and we could also taste the fresh beer directly from the tanks. After a short bia hoi visit on the road we finished the evening at Hoa vien brewery with the delicious fried cheese and plenty of beers. 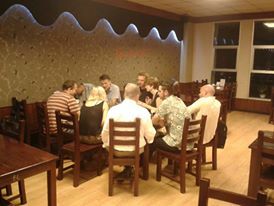 Next tour will start 6.30 pm at Gammer brewery which is on 198 Tran Quong Khai, Hanoi. Sign up by emailing before at beerblogvn@gmail.com. After that we will visit Hoa Vien (picture below) and 2-3 other breweries whereof one of the new ones. There is always surprises so look forward to try many really different beers. Transport and some food is included in the price, 600 000 vnd. Plenty of beers, at least 10 different ones and maybe some tasting of bottled beer from China. 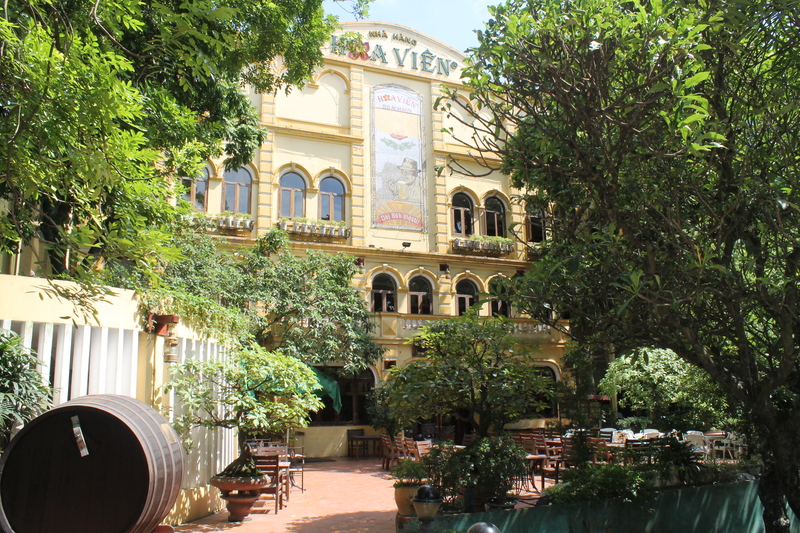 Gammer brewery is situated just outside the old town in Hanoi, its a huge brewery with three different beers. See you there on Thursday 10 Oct by 6.30, don’t forget to sign up before. 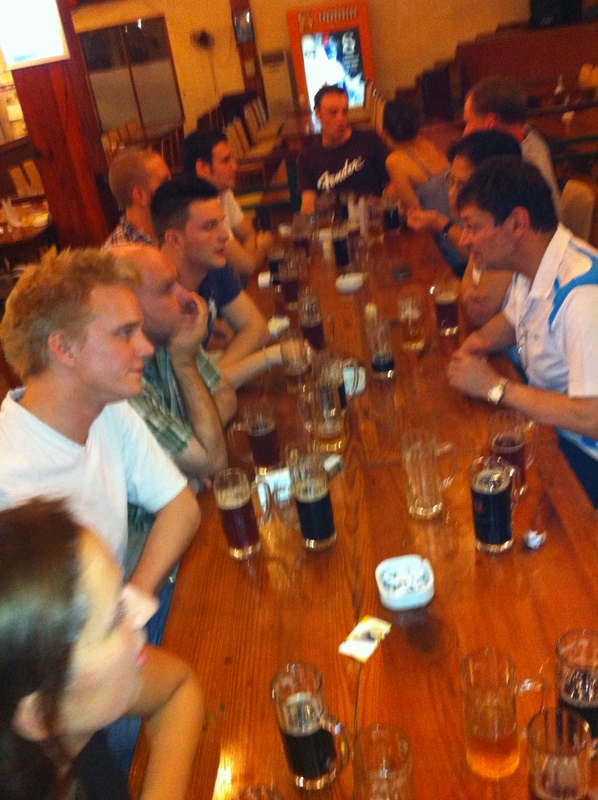 This entry was posted in Activities and news and tagged bia hoi, brewery tour, hoa vien, mai vien brauhaus. Bookmark the permalink.